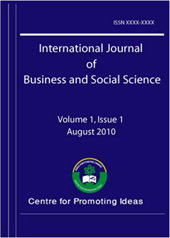 This paper examines the effects of deterrent tax policies on tax compliance in Nigeria. Following the introduction, we reviewed the existing tax policies and reforms in Nigeria. This is followed by a discussion of the various compliance strategies prescribed in the literature from where we developed our hypotheses. The method of data analysis used in the study is the ordinary least square (OLS) regression technique. This method was adopted because of its properties of consistency, unbiasedness and efficiency. The OLS regression technique was estimated using a computer software (Microfit 4.1). It was observed that the existing deterrent tax policies in Nigeria are inadequate and have not helped to promote tax compliance in the country. It was also discovered that fostering voluntary compliance and enhancing taxpayer’s morale will enhance tax compliance. We recommend that the Nigerian revenue authorities should strive to adopt the approach that will encourage voluntary compliance and prescribe appropriate sanctions for defaulters.